Una villa privata, situata direttamente sul Mare di Abaco: ecco l'avventura che stavate aspettando! Immergiti nelle sabbie incontaminate e nell'oceano turchese cristallino! Troverete il nostro grande sala recentemente ampliata spaziose e confortevoli per ascoltare la musica dalla radio XM, l'iPod, o dalla nostra biblioteca cd. Passo fuori sul uno dei tre ponti e lasciare che la fresca brezza dell'oceano prendere le preoccupazioni di distanza, o bere un drink rilassante tropicale all'ombra di raffreddamento del capanno. Abbiamo trovato delfini e raggi dal ponte, così come un nitticora e altri numerosi uccelli. Questo luogo unico immerso tra i pini Casuarina per ombra è letteralmente a 25-30 yards da sentire l'acqua fredda sulle dita dei piedi e lo spray nei capelli. La nostra villa è unico e arredate in modo confortevole sia all'interno che all'esterno. Tutte le lenzuola, asciugamani e utensili da cucina sono forniti (tra cui una macchina per il pane, macchina da caffè da cucina e macinacaffè). Si tratta di aria condizionata e ventilatori a soffitto in ogni stanza anche. Situato sul lato orientale di Gran Abaco Island, Treasure Cay è un posto tranquillo per allontanarsi, e trovare l'avventura. La spiaggia a forma di ferro di cavallo, 3 1/2 miglio che la Villa si trova in stato indicato come uno dei dieci migliori spiagge del mondo dal National Geographic. Scegli la tua avventura ..... fare una passeggiata fuori il banco di sabbia e trovare orde di dollari di sabbia, Wade a Alba Cay (una piccola isola al largo della punta di Treasure Cay), Kayak in acqua color smeraldo, fare un salto di viaggio Isola di le isole fuori .... o semplicemente puntellare i piedi e tirare fuori quel libro. Amazing location on a first class white sand beach. Much over our expectation. The villa has unique location 100feet from a 3 miles withe sand beach, probably the best ever seen. Ideal for a couple or a family that wants to spend a relaxing, peacefull holiday into the real caribbean athmosphere. Unforgettable. So very happy you enjoyed your stay. Please visit us again and I do hope to see you on my holiday to Rome. Thank you for taking the time to review your stay at our home. Time spent by the sea is always time spent well. Attentive owners and right on the beach! Thank you for being our guest at our spot in paradise! This property is located at the end of a private road directly on the beach, and next to the community pool! There is still plenty of privacy between this house and the pool area, so this is a positive! The 2 bedroom house has everything you need and is laid out well, with a bedroom on each side with the kitchen and great room in the middle. The house is also conveniently located within minutes of the Marina, grocery store, liquor store, and restaurants. Overall great private house!! Me and my family stayed at this villa for 5 days 4 nights. You could not ask for a better location. The property is the closest you can get to the water with amazing views. All the amenities were plentiful for the area. Your close to shopping, eating, fishing, swimming. You can definitely stay self sufficient in the area too. I hate to say that this was an amazing place because I wouldn't want to share it with anyone if I could. Communication with the owner was flawless. I would definitely be back again and try to stay at the villa. 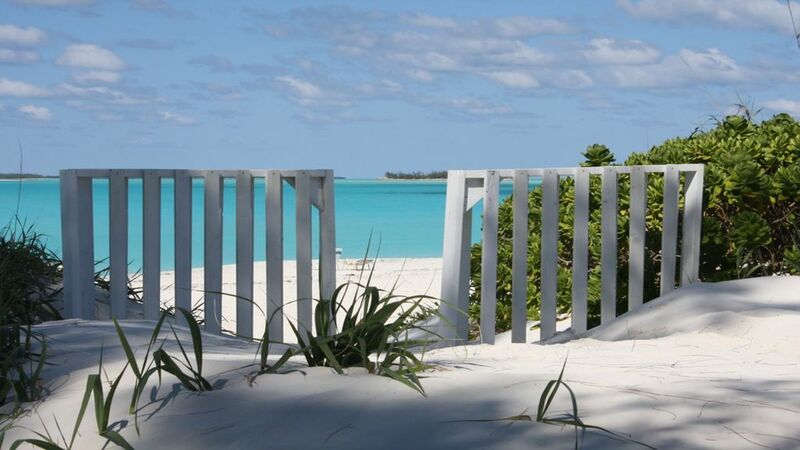 We are very pleased with your thoughts concerning your recent stay in our home in Treasure Cay. Our island home is such a great place to reconnect and enjoy family and friends. We do hope to have you as guest in the future. Everything was exactly as list and shown. We had a great time in a beautiful setting. Looking forward to the next opportunity to visit Treasure Cay. The owner Alisa was very helpful with suggetions on things to do in and around the area. Happy guest make my day. I appreciate your time in sharing your thoughts after your visit. Our spot in paradise has always been enjoyed by our family, friends, and guest. I do hope you have a return visit in the future. Rates are subject to change without prior notification. Minimum night stay is flexible at owner's discretion. Nightly rate applied for stays of less than 7 days at $325 per night.